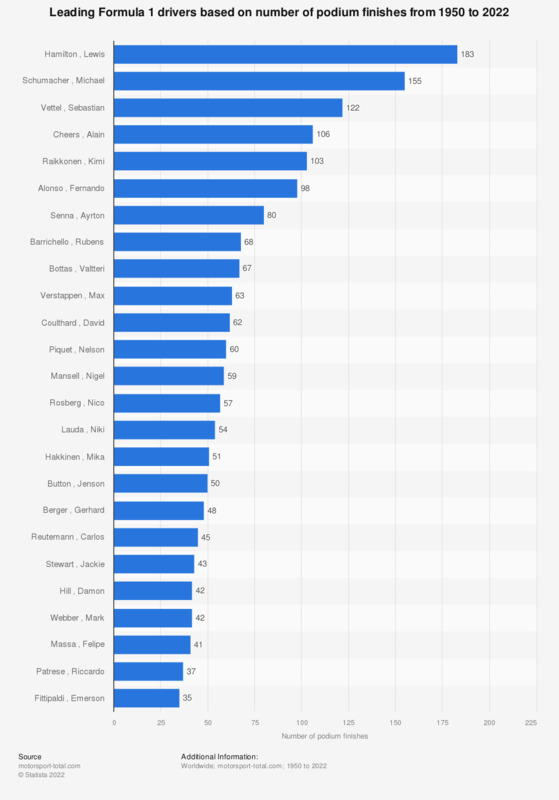 The graph shows the top 50 Formula 1 drivers with the most podium finishes from 1950 to 2018. Michael Schumacher has had 155 podium finishes. For what main reason do you use a GPS? Thinking about people you know who drive, how many of them do you think carry on driving when they are too tired? How many meters do you think it takes to stop when driving at 130 km/h?